The top is in two matched pieces of spruce with straight grains of medium width. The back is in two pieces of maple with narrow and deep flame. The head and ribs are of a similar maple to the back. 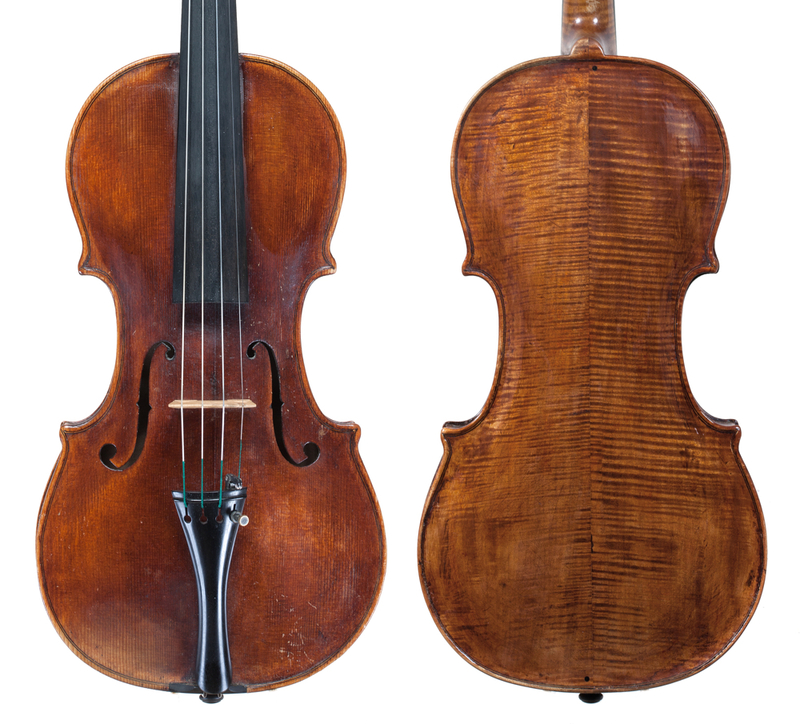 The violin looks like the work of a skilled wood worker: the carving of the head is clean, the purfling is inset with precision, the archings are symmetrically shaped with good precision. 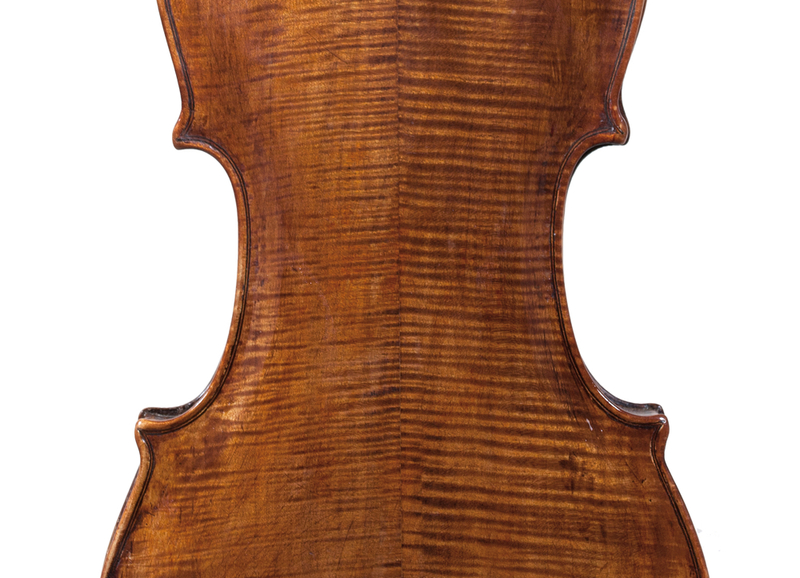 Many details, however, suggest Caleffi was not a formally trained violin maker: the outline of the body is regular and well proportioned, but the corners are short and lack elegance; the archings – mainly in the back – do not flow evenly, but present a sort of bump where the concave scooping turns into the convex central area; the f-holes are beautiful and nicely cut, but their design is not strong. 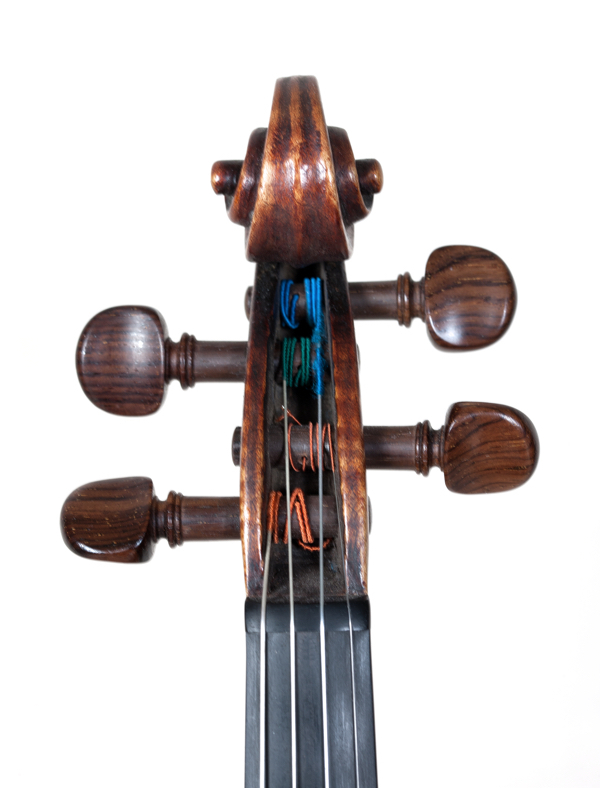 The model of the violin shares similarities with some instruments by Giuseppe Sgarbi, who worked in Modena in the same period, but overall their work shows few common traits. 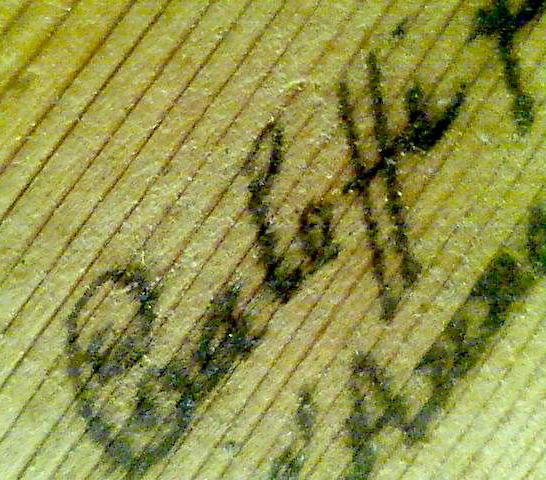 Tool marks left by the maker on the instrument include the parallel scratches of a toothed plane used to thickness the ribs and irregular scratches by abrasives used to finish the concave areas of the archings. The varnish is thin and of a pleasant golden-brown color, transparent and evenly applied. No historical information is known about Caleffi. Research in the Modena archives, made with the help of Giuseppe Costantini, showed that at the beginning of the 20th century there were a few men named Giuseppe Caleffi in Modena, and it has so far proven impossible to establish which one was our maker. 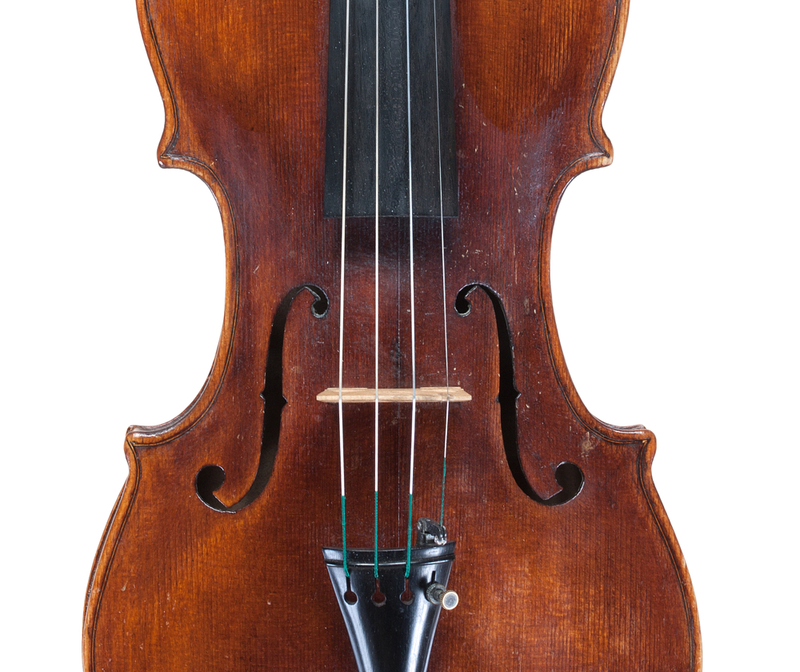 Carlo Chiesa is one of the world’s foremost experts on golden era Italian violin making. 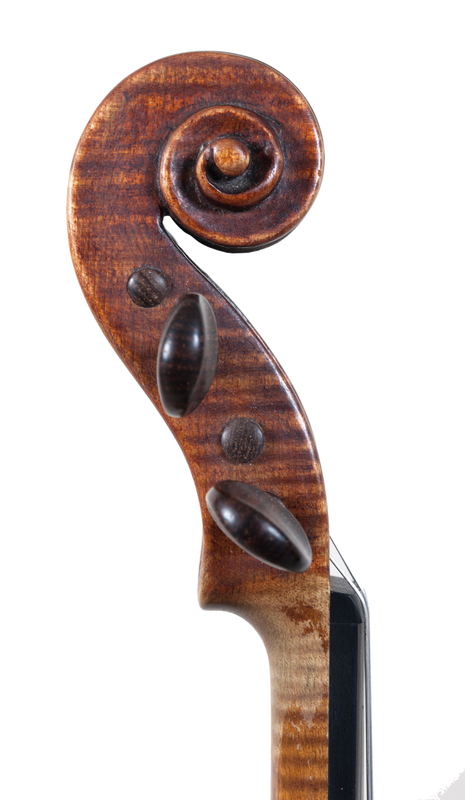 He co-wrote The Stradivari Legacy with Duane Rosengard and was also a co-author of Guarneri del Gesu.